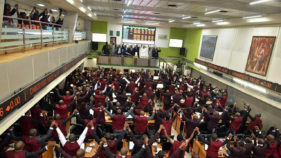 For the first time in many months, the conglomerates sub-sector, last week, upstaged the financial sector on the trading floor of the Nigerian Stock Exchange (NSE), trading 11.396 billion shares valued at N14.534 billion in 890 deals. 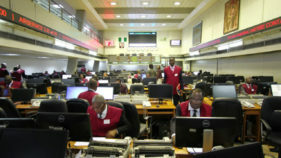 Specifically, at the close of trading last week, the conglomerates industry contributed 79.94 per cent to the total equity turnover volume.The financial services industry followed with 2.484 billion shares worth N9.797billion in 9,205 deals, while the consumer goods industry trailed with a turnover of 164.156 million shares worth N8.127 million in 4,405 deals. Trading in the top three equities- Transnational Corporation of Nigeria Plc, Wapic Insurance Plc, and Fidelity Bank Plc (measured by volume) accounted for 12.998 billion shares worth N15.494billion in 1,813 deals, contributing 91.17 per cent to the total equity turnover volume. Further analysis of last week’s transactions showed that a turnover of 14.257 billion shares worth N35.056 billion was recorded in 17,379 deals by investors on the floor of the Exchange.This volume of shares traded was however, higher than the 2.182 billion shares valued at N22.795billion that exchanged hands in 17,019 deals during the preceding week, despite the one day public holiday declared by the Federal Government on Friday, to commemorate the Eid-el-Maulud celebration. 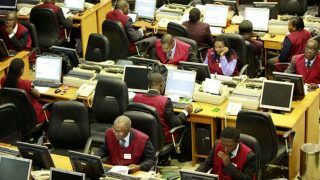 Also traded during the week were a total of 1,090 units of Exchange Traded Products (ETPs) valued at N14,708.50 executed in 10 deals, compared with a total of 127 units valued at N13,837.30 that was transacted last week in five deals. 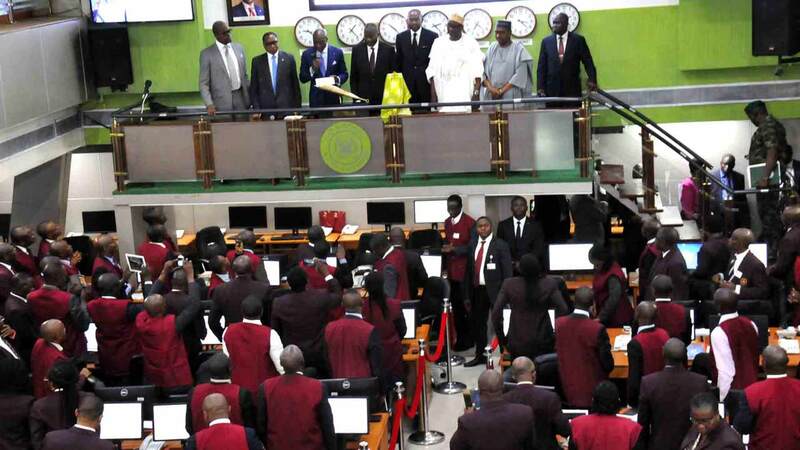 The NSE All-share index, and market capitalisation appreciated by 1.55 per cent, and 1.58 per cent to close the week at 37,944.60 and N13.215trillion respectively. Similarly, all other indices finished higher during the week with the exception of the NSE ASeM Index that closed flat.About 39 equities appreciated in price during the week, higher than last week’s 36, while 23 equities depreciated in price, lower than the 24 a week ago, and 109 equities remained unchanged lower than the 111 recorded in the preceding week. A total volume of 800,000,000 ordinary shares of 50k each of Global Spectrum Energy Services Plc Plc at N5.00 per share were admitted on the Daily Official List of the Exchange on the 27th of November, 2017.